Tomorrow is the last day to apply for the Chase Southwest Priority Card before its sign-up bonus decreases! We don’t know what the damage will be, but you can pretty much guarantee it won’t be anything as good as it is now. Until August 22, 2018, you can earn up to 65,000 Southwest points with the Chase Southwest Priority Card after meeting tiered minimum spending requirements. Plus a bunch of nifty benefits! 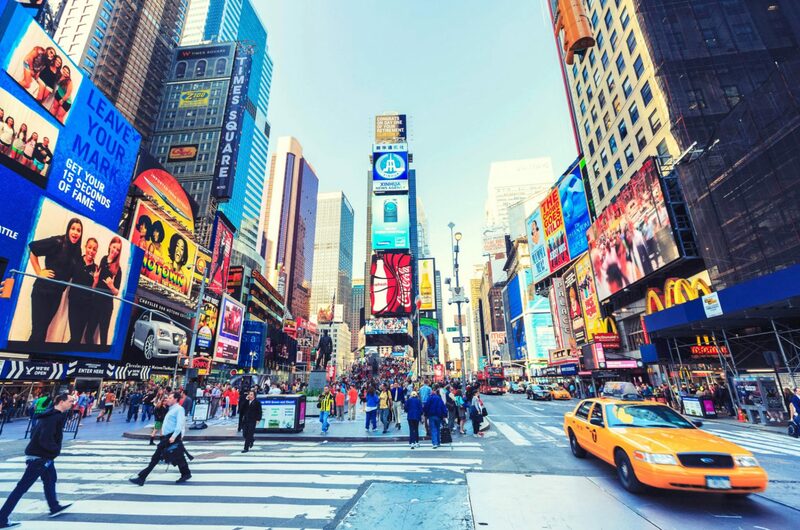 Southwest Flies to Tons of Popular Destinations, Like New York! And because Southwest points are worth ~1.5 cents each on average, you should get $1,000+ in value from 65,000 Southwest points. The card has a $149 annual fee, NOT waived the first year. This card’s sign-up bonus counts toward earning the Southwest Companion Pass, our favorite deal in travel! Folks with the Companion Pass can bring a friend or family member along on paid and award tickets for just the cost of taxes and fees! You need to earn 110,000 qualifying Southwest points in a calendar year to get the pass. So by meeting the tiered spending to earn this card’s full bonus, you’ll have at least 80,000 qualifying Southwest points (65,000 Southwest bonus points + 15,000 points from meeting the minimum spending)!